Sweet and salty – my most favorite treat! So when I saw these adorable bunny pretzels at Target today, I couldn’t grab a package of Hershey’s Hugs and get home fast enough to make these super cute Bunny Pretzel Hugs. As you know, I am not the most coordinated in the kitchen. I have tried to make these pretzel treats before and was told they are idiot proof…. well apparently not. But this time they worked and came out SO CUTE!!! 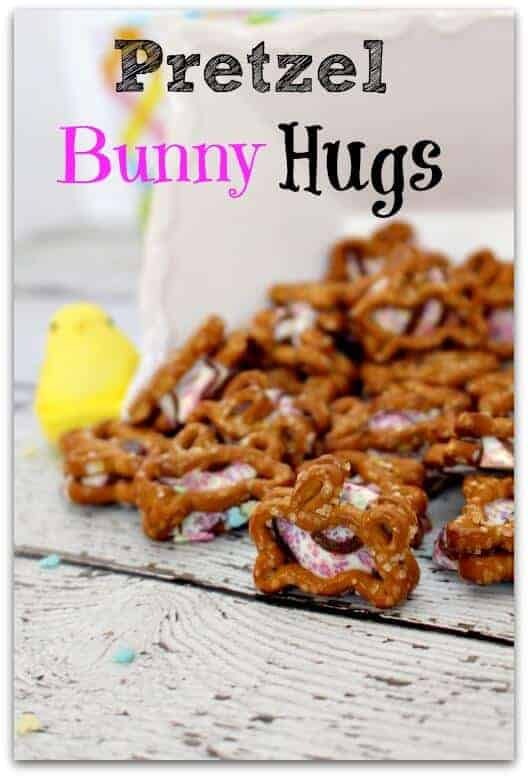 I am definitely looking for these cute bunny pretzels to make these treats. I found the football pretzels early this year, but I have not seen the bunny ones. I am sure they are in Target and Walmart. I pinned these very cute treats. Diane – JUST found them at Target. They are the Target brand in the seasonal section!!! these bunnies are so cute! What a great idea! Pinned! Checking these cuties out from Whimsey Wednesday! These turned out so cute, Jenn! I had to come visit just to see where in the world you found rabbit shaped pretzels. Thanks for sharing! 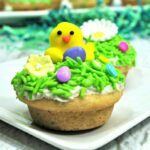 Jennifer, I just love the bunny shaped pretzels and this is a perfect, easy sweet treat for Easter (or spring!) 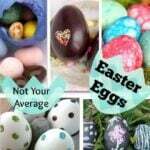 Thank yo so much for sharing at Best of the Weekend – pinned to our party board! Have a happy Sunday and a wonderful week! Smell Hacks that Will Make Your Home Smell Great!